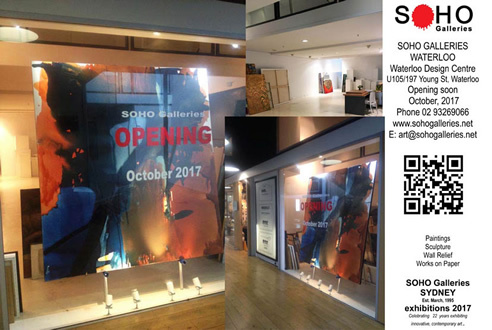 Visit SOHO Galleries new location at Waterloo Design Centre Level 1, 197 Young Street, Waterloo, NSW 2017. Open daily in Waterloo Design Centre, with art, design, décor, patisserie. Also open weekends. A great resource centre for design, style domestic and commercial projects. Visit SOHO website for all enquiries and exhibition information. 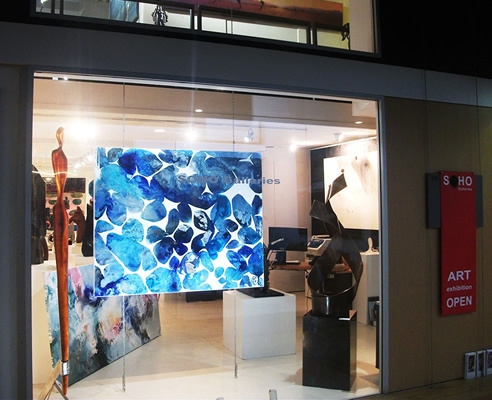 Soho art, sculpture and works on paper available for sale in Coomo Furnishings on Level 1, Waterloo Design Centre and Home HQ, Artarmon.